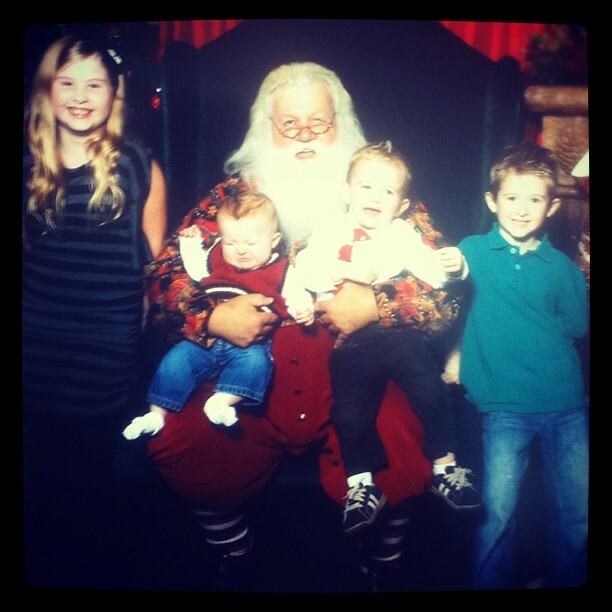 So we finally made it to see Santa this year. If you haven’t, we strongly recommend A Real Bookstore’s Santa at Villages at Fairview. You can check-in online – don’t do it any other way! We had a 3 hour and 23 minute wait, but received texts up until the time he was ready for us! And here it is, in all it’s glory. Santa. Our 4 kids. Yes, 2 melting down. But it’s done. And look, an actual picture featuring all 4 of them kids!